I was happy to get her question, and happy to answer it here on the blog. Family history is a central theme of The House at Rose Creek. And indeed, discoveries in my own family history played a large part in inspiring the story of Ian Wylie, Kate’s ancestor and the writer of the journal that Kate reads throughout the novel. 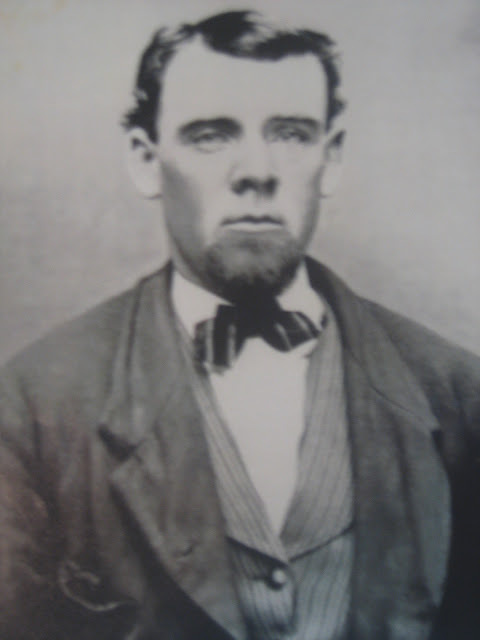 This is James Armstrong Kinmont Wylie, my great, great, great grandfather. Wylie is actually a family name in my own ancestry, on my mother’s side. In the mid 1800’s, James Armstrong Kinmont Wylie traveled to the United States from Scotland. Six years later, he booked passage for his wife Agnes, and their children. My great, great grandfather, Charles George Washington Walls Juniper Wylie (I know! Some name, huh?!) was the first of James and Agnes’ children to be born in the United States, which likely inspired them including “George Washington” as a part of his name. When I thought about this story, I was moved by the great lengths that a father would go to in hopes of securing a better future for his family. James Wylie was separated from his family for six years. I’ll never know the particulars of his decision, but I feel comfortable in supposing that the separation was only endured because it had to be. Though our ancestors lived long before us, in a different time, the human struggles of their existence were, in many ways, just like ours. They lived and loved and struggled and endured and hoped for their families just like we do. And that’s something worth remembering. At first, the names on your family tree may only feel like faceless names and birth dates, but it IS possible to bring those names to life. Once you start digging and asking questions about who your ancestors were, though they may be slow at first, the connections will come. Towards the end of the novel, a volunteer at Rose Creek’s historical museum tells Kate that sometimes we get so busy looking forward, we forget to look back. I believe there is value in looking back, in remembering who our ancestors were, and considering how they contributed to who we are today. FAQ: Why the LDS before Author? I was asked so frequently, I finally wrote a post answering the question (he’s not) hoping this would keep the inquisitive emails at bay. I can only figure that because I’m a Mormon, and there was a season of my life when I really, really LOVED Clay Aiken (Don’t judge. The guy can really sing.) people decided I MUST know the answer. Which, I guess I sort of DID know the answer. But still. It was weird. This, however, is not such a weird question. 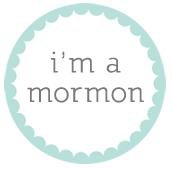 Why do I call myself an LDS Author?